a trail running experience offering a solo or team marathon & half marathon along the stunning Surf Coast Walk. The route snakes from Australia’s Mecca of surfing, Torquay, to the beachfront Fairhaven Surf Lifesaving Club on Victoria’s famed Surf Coast, only an hour south west of Melbourne. In the marathon, you can have a crack at the full distance solo, or knock off roughly half each in teams of two. Or try the half for a taster. In many ways, this is the perfect event for all runners eyeing the two quintessential distances. For road runners it offers a first taste for trail, without being intimidating as a relatively non-technical, non-remote, non-mountainous trail. 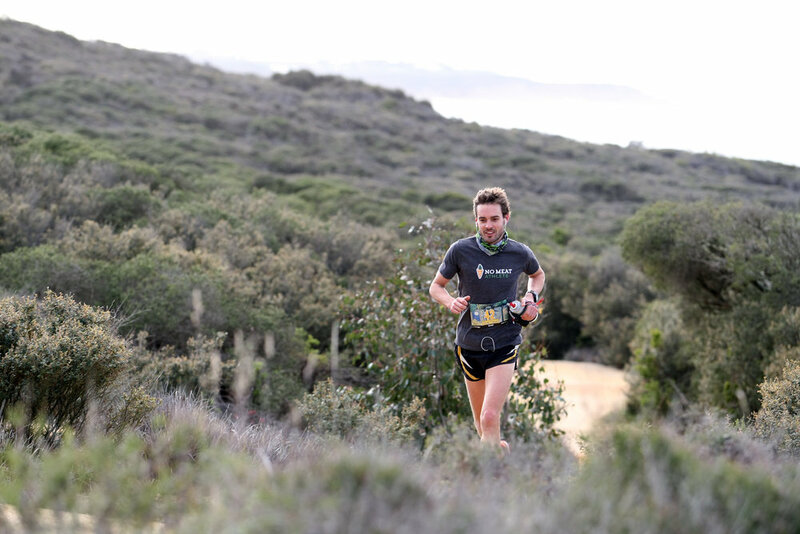 For experienced trailites, the route still features stunning wilderness with coastal viewpoints you won’t believe (and becomes a truly go-fast course with plenty of good twists and turns). From iconic Bells Beach (yes you run a short stretch of this hallowed sand) to the clifftops of Point Addis and Anglesea and on to Split Point lighthouse at Airyes Inlet: this course has become renowned for the experience of journeying through a unique coastal landscapes . That, and the famous live band afterparty at the Aireys Pub. That’s pretty famous too. You can dance, yeah? Like Travolta or a giraffe with marathon legs, doesn’t matter which - everyone’s welcome. and RECEIVE A FREE TRUCKER CAP! By popular demand…the Hex V2.0 - it’s back in black! And you want one… So enter already!!! We’ll match it with black version of the ‘King Tide’ tee, too, this year also in black! But ya gotta pay for that one!